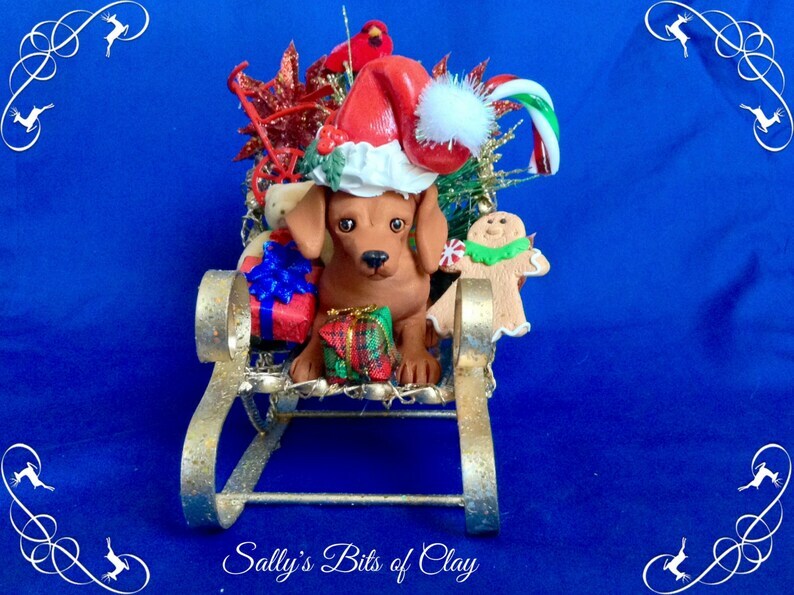 The Red Smooth Coat Dachshund dog is hand sculpted by me with polymer clay. Some details are hand painted. The sleigh is gold colored metal. All items are attached to the sleigh.